Don Bluth’s second feature film as director sees him joining forces with producer Steven Spielberg for AN AMERICAN TAIL, which details the immigrant experience for many of American ancestors in their long journey to the land of freedom and opportunity. Drawing from anecdotal material from Spielberg’s own grandfather’s stories, this heartwarming animated feature would go on to earn the most money up to that point at the box office for a film on its first run. 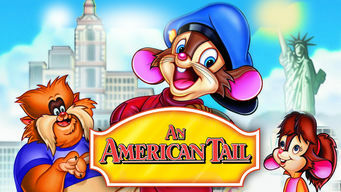 The first of several animated adventures featuring hero Fievel Mousekewitz.